The Plastic Armchairs were presented for the first time in 1950 as part of the ‘Low Cost Furniture Design’ contest at the Museum of Modern Art in New York. 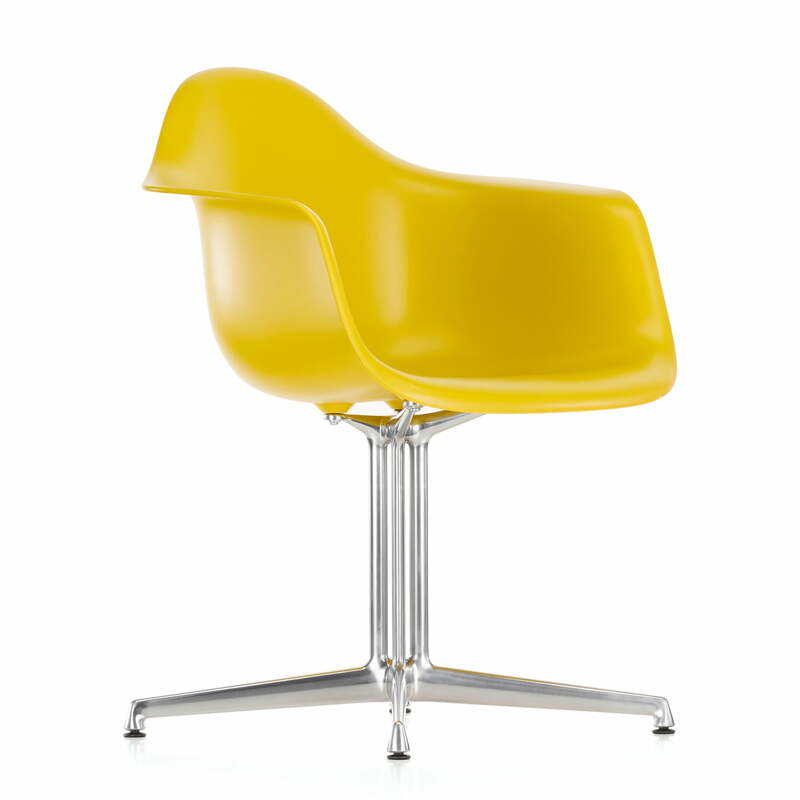 The organic shaped seat shell made of plastic was later combined with different frames and has since been produced a million times. 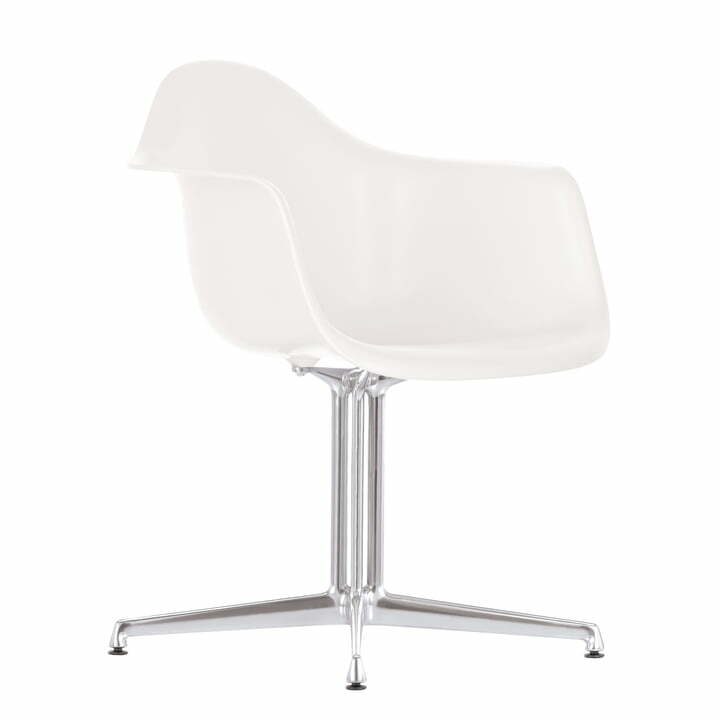 In its current polypropylene version, the armchairs offer improved seat comfort. Vitra now introduces the upholstered plastic armchair DAL that complements the product line wonderfully. Thanks to the padding, the organically shaped seat offers exceptional comfort and introduces a homely feel. The colour of the Hopsak upholstery can be freely combined with the various chair seat colours. Together with the bases, a multiple of possible combinations are provided. The fabric is attached to the shell with a welted edge. Just like the unupholstered Plastic Armchair, the seat shell is made from dyed-through polypropylene and rests on a wire frame with struts. 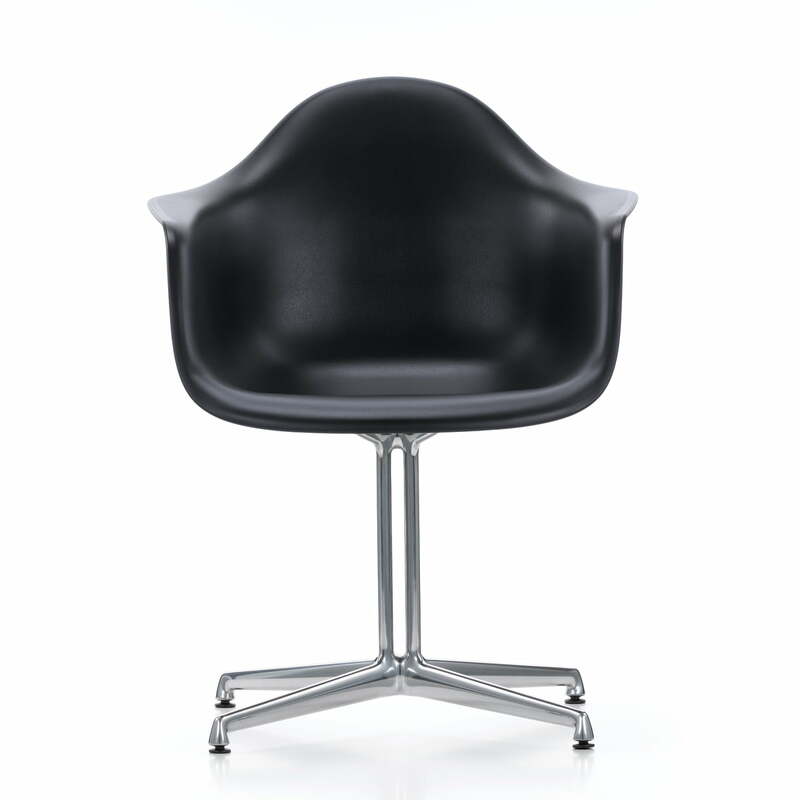 Please note: The Eames Plastic Armchair DAR is normally delivered with dark felt pads. Plastic glides are also available.